Perfect for the coffee kitty! 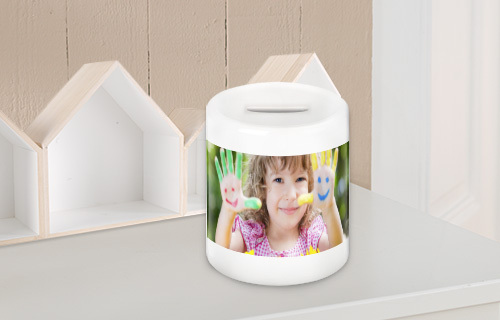 With our ceramic money box, printed with your personal photo, saving is especially fun. Add a creative design template to make it truly personal. 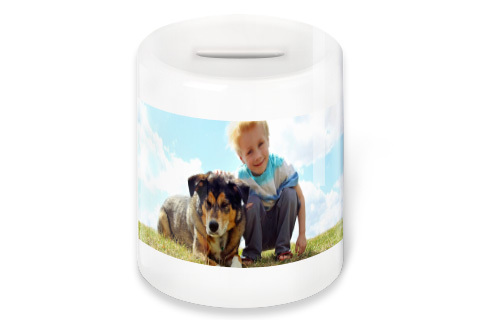 A great gift idea for adults and children alike, whatever you are saving for.